This is rarely a good idea in my experience. There have been (extremely) rare occasions when I’ve bought something on a whim and its turned out to be a dream buy / best purchase ever/ lasts forever [delete as appropriate]. However, as somebody who considers herself a veteran shopper, or in other words, a careful, considered shopper, every now and then I find I haven’t learnt a thing with age… and still fall prey to ‘impulse buying’. Especially easy of course if the small town you live in has very limited shopping and you’re stuck home in the evenings with no great TV series boxsets left to watch, so you start browsing online… or perhaps catching up on some blog reading: its oh-so-very-easy to make a purchase in a couple of clicks, isn’t it? And I mean seriously: Blogs need to come with some sort of warning about your bank card taking a (big) hit!! The dress is by Y.A.S. 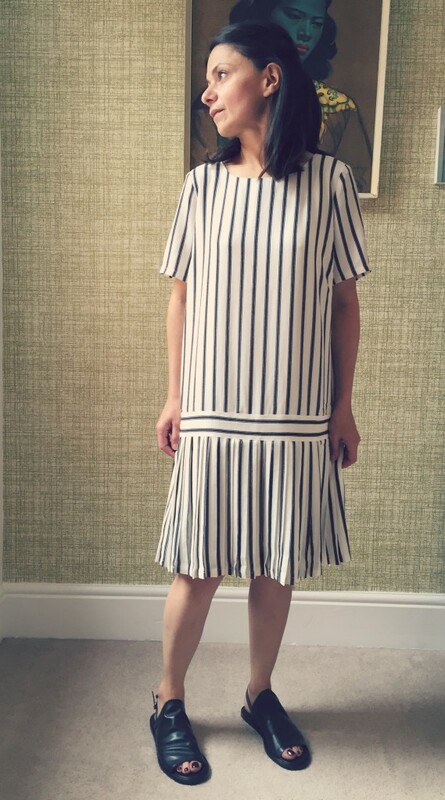 (July dress in mono stripe) and is available through ASOS, costing £60. So, not the most expensive dress, but not the cheapest either and the purchase was completed in just a couple of clicks, made all the more easy by paying with PayPal. It fulfilled all my criteria: non-boho; love stripes; dropped waist and short sleeves: it was instant love and it took just that one instant to order it! 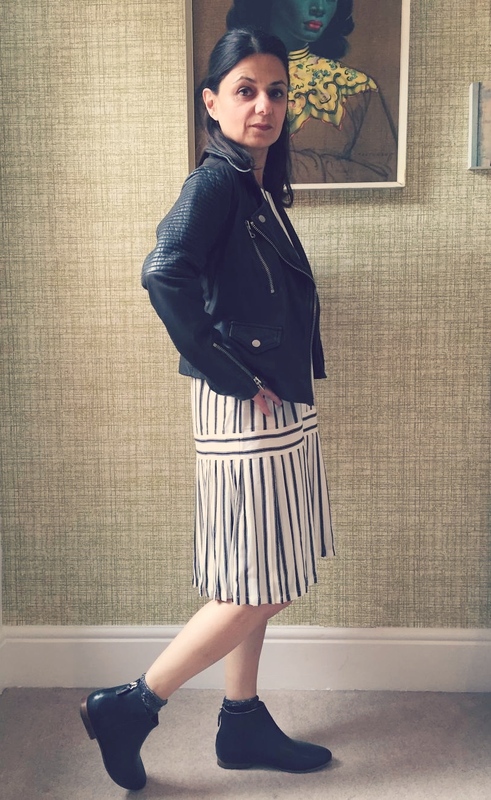 I already have my (lovely birthday) Topshop Petites Leather Biker jacket, and had ordered the Topshop Apple Bee Ankle Boots in black (which I’d blogged about a couple of posts ago on my Birthday Wish List) now reduced from £62 to a bargainous £30: #win!! Genuine excitement is what I felt about both of these orders! So, before I tell you what I thought – here I am in the outfit: what do you think? Yup – not such a good look on me. Looks rather child-like, a bit like I’ve tried my mum’s dress on! (I’ll talk about those sandals in a sec when I get on to the footwear purchases). 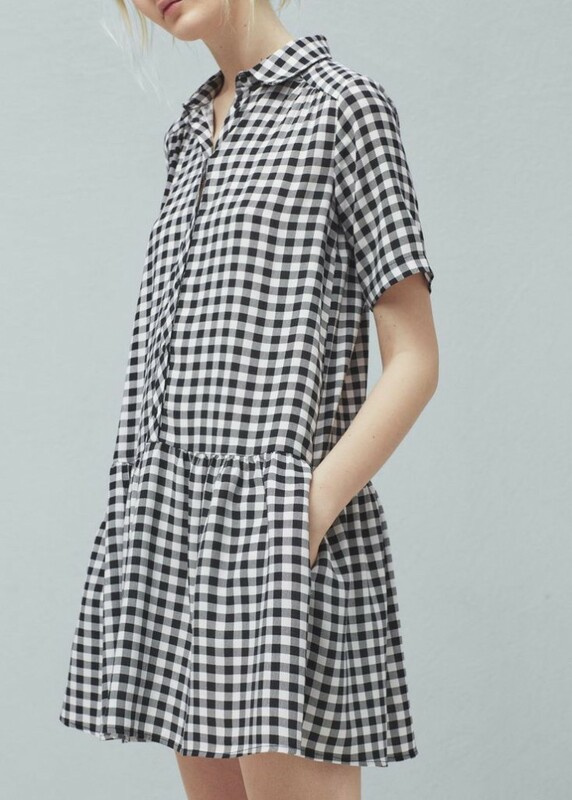 Basically, the size XS from this brand is more a-kin to a standard size 8 or a small 10, and although the style of the top half of the dress is meant to be loose, its just *too* loose on me. I can’t help but feel £60 is pretty steep for a polyester dress, or is that just me? What do you think? On the plus side – I loved the length of the dress and the over all style is gorgeous: the unstructured top half with light, flirty pleated bottom half gives it a lovely feminine look and feel. The fabric? It’s made from 100% synthetic fibres and fully lined (yes, that means machine washable polyester) which might work in our Brisitsh Summer weather… however, my need for a couple of dresses is primarily for the evenings on holiday; polyester & high summer Spanish heat are a simple no-no. Saying that, I wouldn’t be wearing the dress with a leather biker and ankle boots in Spain! Back to those boots I mentioned: The Topshop Apple Bee Ankle Boots were on my Birthday Wish-list, and so when the Topshop ‘sale!’ email popped up in my inbox, the boots were the first thing I checked for reductions and swiftly added to my basket… but I also slipped into my online basket a pair of these Topshop Limited Edition Prey Soft Sandals, again reduced to less than half price at £30. 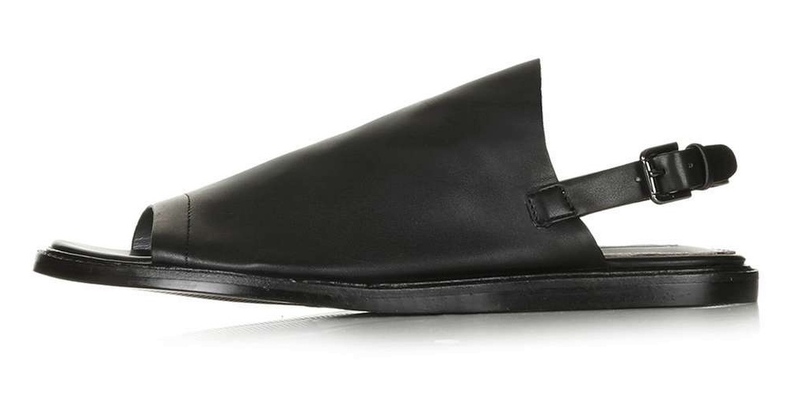 These weren’t the slip on slides/mules I had in mind originally, however, I wanted to give them a go. Straight off, I have to say, these are super comfortable flats. They are from the Topshop limited range and the quality is just a that little cut above their normal footwear range. And the Apple Bee Boots? Though these are a super bargain at £30 if you’re in the market for a flat black ankle boot, they just don’t have anything overly special about them and I think I’d prefer to keep my £30 and put it towards a more statement pair of ankle boots which I love rather than just feel a little ‘meh’ about. Unfortunately, as is all so often the case when you have young children, I became distracted when buying this, and the dress was removed from my Mango online basket during my few minutes of distraction (*frustrated*) & was now sold out in my size. 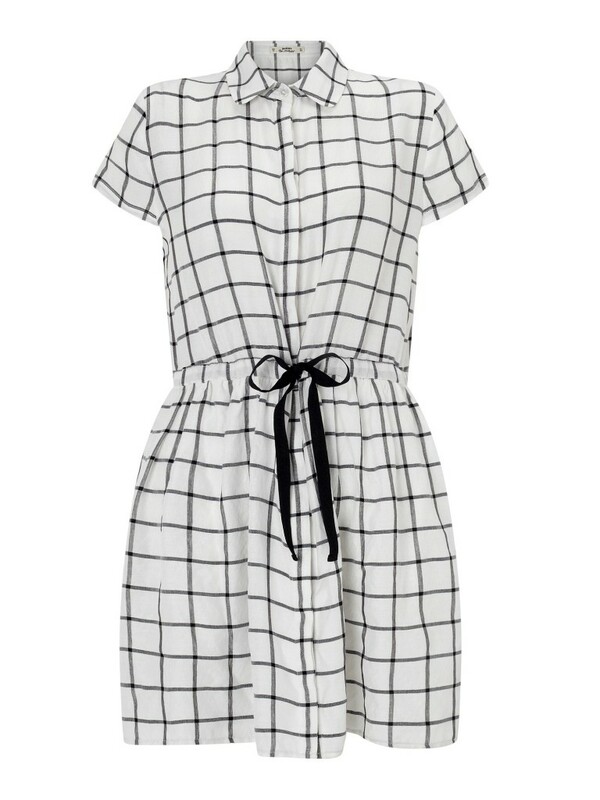 I’m afraid, although this dress is cute, I don’t want to be all cutesy at my age so its another return. All in all, some rather unsuccessful impulse purchases here. I do have some sales success stories though, coming up next week: I’ll be talking Mango vs Zara sales hits (and possibly a couple of misses too). What do you think of my impulse buys and would you have kept any?